June 15 men in black masks raided the office of the businessman Ahmad Tursunbaeva, known as “Ahmadbay”. Police officers surrounded the office building in Chinaz district of Tashkent region. The businessman was detained. However, in the second half of the day, it was aware of his release. About the detention of businessman Ahmad Tursunbaeva, representing all as “Ahmadbay Chinaz”, “Ozodlik” said a source in law enforcement bodies of Uzbekistan. 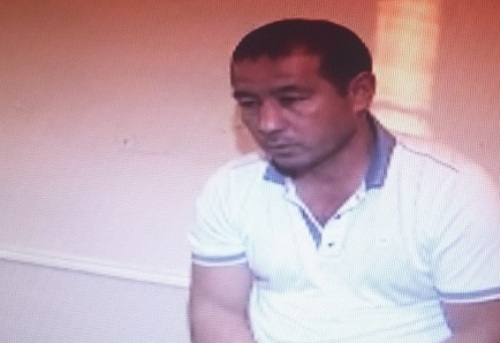 As it became known edition, 38-year-old Ahmad Tursunbaev accused of fraud on a large scale. Another source said that “the house of Ahmad Tursunbaeva, which is located in Almazar of Tashkent region, was surrounded by employees of the State traffic police officers. Dozens of people were involved in the processes of search and counting of cash in Ahmadbaya office. Located in the area of company Chinaz Ahmad Tursunbaeva “Chinoz Auto Hamkor” hosted the contributions of people, promising in return to pay per year of at least one hundred percent dividend. Despite the fact that specialized in selling cars, but provides banking services firm was like a “pyramid scheme”, number of people willing to double their capital twice increased day by day. As the reporter, “Ozodlik”, who has studied this subject in April this year, while the number of depositors, possibly up to 40 thousand people. The businessman originally from Chinaz Ahmad Tursunbaev started becoming famous 2-3 years ago, people who know him say. According to them, to busy selling cars 38-year-old businessman worked as a butcher, they say to the reporter “Ozodlik”. About two years ago he started selling cars. Then he began to take money from people, promising to return them in the amount of 200 percent of annual income. He also lent money at interest, – said in the month of April our radio reporter, one of chinaztsev. Official department for licensing businesses under the administration of the district Chinaz Farhad Mustafayev said that Ahmad Tursunbaeva company was registered at the beginning of this year. – He enrolled as an entrepreneur in the beginning of this year. According to the regulations of its company engaged in sales of cars. But in fact, checking the activities of his company is not part of our possibilities. There are organizations dealing with this issue. For example, this tax inspection should be interested. It takes people’s money at interest. Among people go such talk, but we can not go checking the activities of his company, – told Ozodlik radio officer khokimiyat Chinaz area.